Cholla Recreation Site Campground is located 6 miles north of Roosevelt Dam. 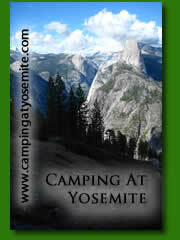 206 campsites are available in the largest solar powered campground in the United States. Each site has shade ramadas, firepits, grills, and picnic tables. Scattered throughout the campground are playgrounds, showers and toilet facilites. Roosevelt Lake which is 13,000 acres, is home to several fish species including largemouth and smallmouth bass, flathead and channel catfish, crappie in the spring and sunfish. Near the campground are both a fish cleaning station and a paved boat launch. If you are looking for long term camping, Cholla offers long term camping from October 1st to March 31st. From Phoenix, travel east on Shea Blvd. through Fountain Hills to the Beeline Hwy (Hwy 87). Turn left on Hwy 87 and travel to the Roosevelt Lake turnoff (Hwy 188). Turn right and follow Hwy 188 south for 28 miles to the campground entrance.